There is one super-human skill that nearly everyone seems to think they are blessed with - the ability to drive a big, fast, heavy motor vehicle along a road at speed without even looking. The most obvious example of this mistaken and massively dangerous belief is people who send text messages while driving, but it turns out that there is something many, many people carry in the car with them every day that is up to 12 times more dangerous than a mobile phone - children. Yes, that does seem alarming, but think about it. If you’ve got children, honestly, look this screen in the eye and tell us you’ve never turned around to pick something up for a screaming kid in the back seat, or just to stare one down. Or, even more stupidly, to tickle them. And now consider that, at 80km/h, your car is travelling 22 metres in every single second that your eyes are off the road. What a dill you’ve been. 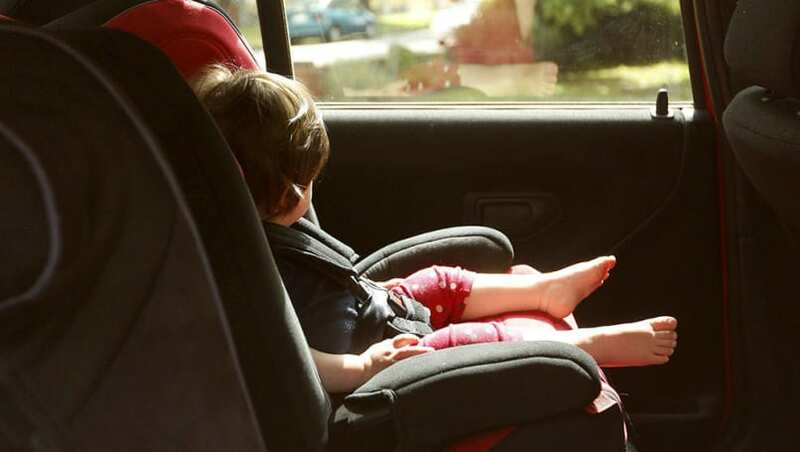 Researchers at the Monash University Accident Research Centre (MUARC) found the average parent takes their eyes off the road for three minutes and 22 seconds during a 16-minute trip with a child in the car. I find myself driving with my knees while I hand out breakfast and drinks like a flight attendant. The MUARC team used a “discrete recording system” (which makes you wonder if they broke into the cars and hid the cameras) that monitored the driving behaviour of 12 different families over a period of three weeks. The parents in question had two children, on average, and those kids ranged in age between one year and eight. The study analysed all the data and footage to find those moments when drivers were looking away from the road in front of them for two seconds or more, while the car was moving. Associate Professor Judith Charlton pointed out that perhaps the scariest finding was that, while people are well aware of the risks of distractions in cars, from things like phones, most parents don’t consider their children to be a distraction, or a danger. “Previous research has shown that, compared with driving alone, dialling a mobile phone while driving is associated with 2.8 times the crash risk, and talking or listening while driving is associated with 1.3 times the crash risk,” Charlton said. Apparently new mums, sleep-deprived to the point of derangement, were the worst offenders. On 90 of the 92 trips the study analysed, the drivers were caught looking away from the road dangerously, and the most frequent types of distractions were turning to look at the child in the rear seat or watching them in the rear-view mirror (76.4 per cent). Having a conversation with the child was next, at 16 per cent, and assisting a child with food or drinks was at seven per cent, followed by the truly stupid habit of playing with the child, while driving (one per cent). Apparently new mums, sleep-deprived to the point of derangement, were the worst offenders, with 10 per cent of those studied admitting to having had an accident with their baby in the car. Many also admitted to handing their children items they’d dropped on the floor, or even feeding them bottles while driving. Or at least trying to. Babies, alarmingly, were found to be some eight times more distracting than an adult passenger. Surely we’re not as bad as the Americans? Well, it’s funny you should ask, because an American TV network in Chicago conducted a slightly less scientific test, again with cameras in the cars of driving parents, and revealed perhaps even more frightening results. Susan Fallon, a mother of three young kids, was found to be the worst of those studied, with her “eyes off road” time as high as 50 per cent for several minutes. “That’s really dangerous,” understated transportation researcher Charlie Klauer, who analysed the footage. One dad, David Benjamin, was caught on camera reaching back while his car was in motion, because he was worried that his son was chewing his shoe. Klauer made the obvious suggestion that people should pull over if they need to deal with their kids, but pointed out that there are other options. “You can talk, you can sing, you can do all those kinds of interactions with your kids while you’re driving, but you need to keep your eyes on the forward roadway,” he said. Our favourite American, though, was Susan Vosdoganes, of Queen Creek, Arizona, who was quizzed about her parental driving habits. “I'm a horrible offender,” admitted the mother of two, who spends two hours in the car each day, dropping her five and seven year old at school. “I find myself driving with my knees while I hand out breakfast and drinks like a flight attendant. “I referee arguments. Once, I even reached back to deflect a carsick kid's vomit out a window with a sun visor. It’s hard to know what to say to this woman, other than 'please hand your licence in'. US insurance company Allstate Insurance, estimates that 'distracted driving' is the cause of 80 per cent of all American crashes. Research from the AAA Foundation for Traffic Safety found children were around four times more distracting to drivers than adult passengers were, while babies made it eight times harder to concentrate. While the solution to the problem sounds easy - if you need to reach or look at your kids, pull over - particularly if you've never had children, it’s just not that simple. I showed my wife the statistics and, while she was appalled, she also pointed out that this is something she never does, but apparently, allegedly, it’s something I’m regularly guilty of. “I don’t do it because I’m just not a confident enough driver, but you seem to be,” she crushingly told me. I must admit it’s something I’ve been guilty of, but in my defence it’s the frequency of the problem that magnifies it. If your kids are fighting, or screaming, with great regularity in the back, you might never get anywhere if you pulled over every time you had to deal with them. It’s also important to consider the level of distraction you have to put up with if you don’t do something. Yes, you can continue to drive a car while a baby in the back starts producing a screaming sound that is more effective in piercing your skull than any drill would be, but you’ll be driving under dangerous levels of stress. Perhaps technology is the answer. The same goes for children fighting and shouting in the back. You can put up with it, but it’s quite likely you’ll lose your mind, and your ability to stay calm at the wheel, if you do. Just as people find it easy to continue using their mobile phones in the car, even when they know it’s dangerous (“yeah, but it won’t happen to me, I’m a good driver”), any parent who thinks about how stupid it is to turn around and shout at their kids while the car is moving knows they shouldn’t do it. One of the things that surprised me most about the Monash study was that it seemed to make no difference to the behaviour of the driver when there was an adult passenger in the front seat, as well as kids in the back. Surely, it makes sense to get the non-driving passenger to deal with the kids. Perhaps technology is the answer. Just as Apple CarPlay removes the temptation to read text messages on the road, or worse still write them, perhaps those DVD players in the back of the front headrests are the answer. They certainly calm kids down. Driving with a baby in the car, however, is just one of the many challenges of the first few years of parenthood. But please, for all of our sakes, try to keep your eyes on the road. Are you a danger to yourself and others when kids are in the car with you? Or are you an angel?